The changes, which include simplified, larger front and rear wings, were introduced for the 2019 season in a bid to allow cars to race closer together, thus increasing the chances of overtaking. While it was hard to judge the new rules at the season-opener - Melbourne's Albert Park is a street circuit and one of the narrowest tracks on the calendar - Brawn was pleased with what he saw. "Judging by the number of passing moves in the race - 14 this year (six without DRS) compared to three in 2018 - the initial signs are encouraging," F1's managing director explained. "Especially as apart from the actual overtakes, we saw some thrilling battles." 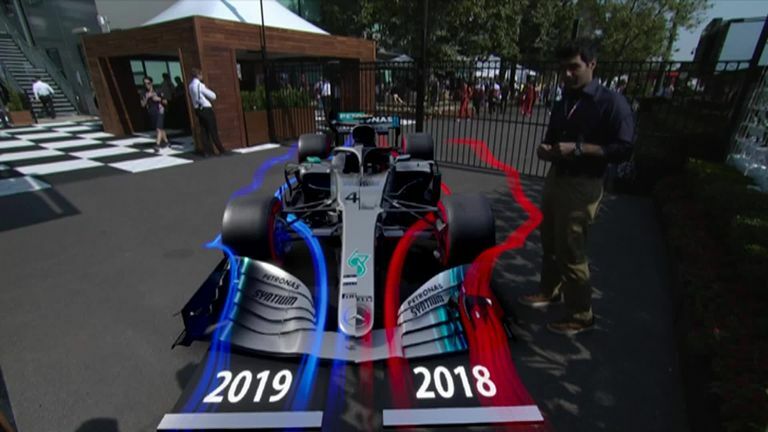 Sky Sports F1's Karun Chandhok explains the differences between the 2018 and 2019 F1 cars. 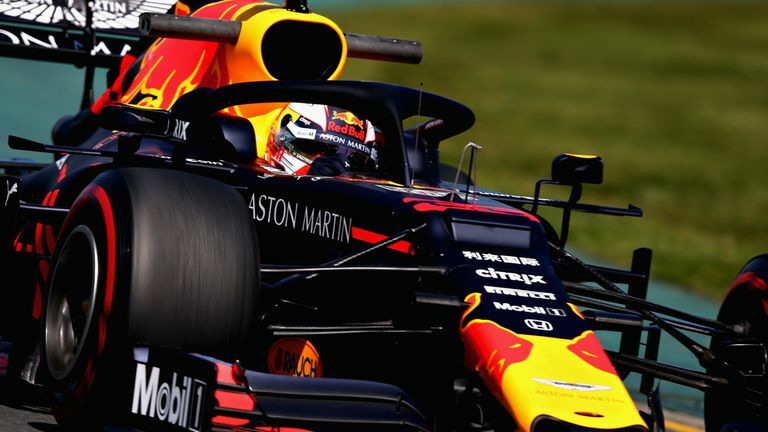 Brawn added: "Clearly those weren't all down to the new aerodynamics, as the performance of the midfield teams especially has closed up dramatically. "However, several drivers said the cars felt more neutral when following another when compared to previous years." The big test for the aero changes will come at the next races in Bahrain and China - where overtaking is always easier - with Brawn admitting the Australian GP wasn't an "accurate" reflection. "I'd prefer to wait for at least another three races before drawing any conclusions," he said. "However, the initial signs are encouraging." Max Verstappen moved up to third place in the Australian GP after a great overtake on Ferrari's Sebastian Vettel. The top three from Australia - Valtteri Bottas, Lewis Hamilton and Max Verstappen - had contrasting views about the new regulations. While Hamilton said it made "no difference" to his race, Verstappen claimed: "It is still very hard, but the positive thing what we improved is the DRS effect. "So, as soon as it opens, it's a lot more powerful than last year but following is still a lot of turbulence." Haas' Romain Grosjean, meanwhile, said: "It is easier to follow." We'll get more conclusive answers in Bahrain. Round two of the season takes place in Bahrain on March 29-31, live only on Sky Sports F1.